What’s Poppin’ Tonight! 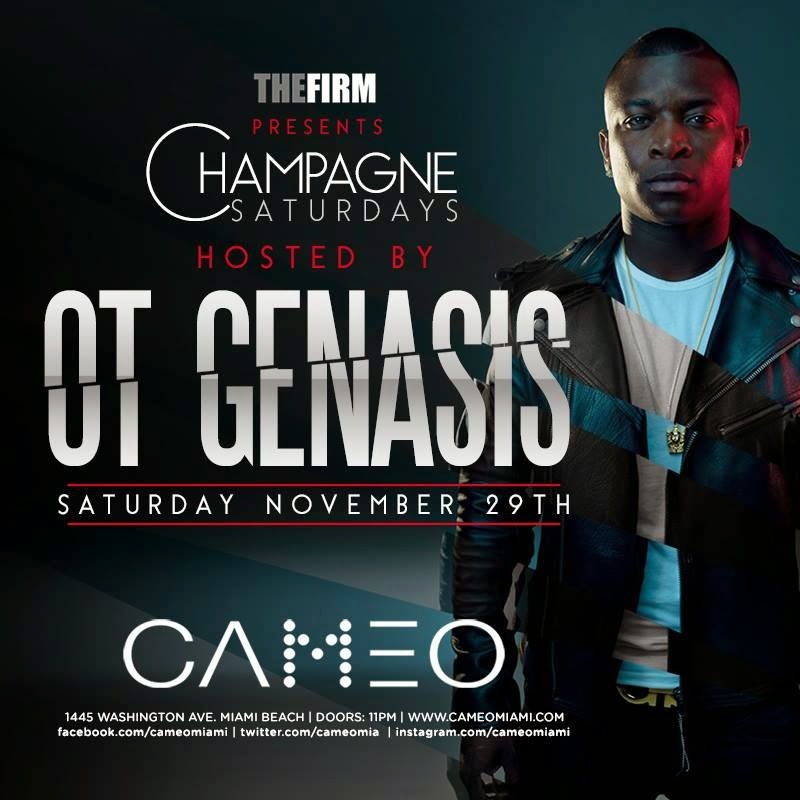 The Firm & Champagne Saturdays presents OT Genasis at Cameo Nightclub ~ Phresh Hott New! The Firm & Champagne Saturdays presents OT Genasis with music by DJs Entice, Bulletproof, Fergie & Springer in Miami Beach. Text the word “CAMEO” to the number 38714 for FREE champagne from 11pm until midnight.